Recent news of the death of comedy star Robin Williams is another reminder that smiling faces may hide behind the serious illness that is depression, and sufferers need comprehensive evaluation and treatment to alleviate the agony of a life lived in darkness. The causes of depression are a subject continuing medical of research. However, we know that this silent illness occurs because of a chemical imbalance in the brain, specifically, neurotransmitter imbalance, especially Serotonin deficiency. This imbalance can affect any one in life, so celebrities or famous and creative people are not immune. In the United States alone, 400000 people commit suicide every year. The World Health Organization also maintains that depression related suicide cases stand at about one million per year worldwide. 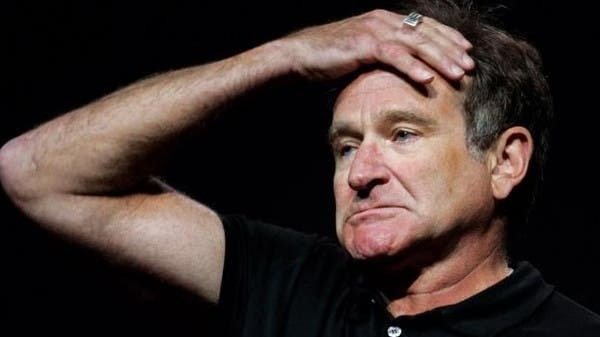 Robin William was not the only celebrity who suffered from depression. Many Hollywood actors, singers and stars from other parts of the world suffered too. American actor Billy Joel suffered from depression, star Jon Hamm talked about his depression, while Hollywood actress Catherine Zeta Jones spoke about her Bipolar disorder. American actors Owen Wilson and Richard Pryor, and stand-up comedian Richard Jeni, all attempted suicide. Batman star Heath Ledger dies of an accidental overdose at age 28 while American football stars Andre Waters and Dave Duerson both committed suicide. For a medical diagnosis of MDD (Major Depressive Disorder), a person must have two weeks of pervasive changes in mood either depressed or irritable and/or loss of interest and pleasure. In addition, the person must have other clinical characteristics, including significant change in patterns of appetite, weight changes, sleep, activity, concentration, energy level, self-esteem, and motivation. Symptoms must represent a change from previous functioning and produce impairment in relationships or in performance of activities. Furthermore, symptoms must not be attributable only to substance abuse, use of medications, other psychiatric illness, bereavement, or medical illness. The causes of depression are many, and include genetic factors as well as lifestyle and life events. Hereditary factors, such as a family history of depression among first-degree relatives, correlate highly with having low resilience to depression. Substance abuse is linked to depression though it is debatable whether people resort to alcohol and drugs to feel better when depressed or that substance abuse causes changes in the brain which can lead to depression. In general, one third of people who are depressed also have substance abuse issues. Studies show women develop mood disorder first and then substance abuse later, while men tend to resort to substance abuse first and then develop depression. Other contributory factors to depression include physical and/or sexual abuse, stressful life events, e.g., divorce and death of close relatives and friends, and a change of status in life, including loss of job, money, fame, authority, position and the development of health condition. When it comes to celebrities, depression can be a risk factor for someone who enjoyed a life in the limelight and being admired by people. Any decrease in that status could affect celebrities more in comparison to people who never had that feeling and experience. Moving from a structured, meaningful life to an unstructured and less busy life is also a cause for depression. Retirement or a decreasing demand for a celebrity makes them vulnerable to mental health issues. Celebrities have the same risk of depression as the general population but enjoying fame and appreciation during the peak of their careers makes them additionally vulnerable. As growing old might make them feel additionally less appreciated and prone to change of status in terms of fame, money this may increase the risk of becoming victims of depression unless their energy is channeled in a positive direction which keeps them busy. Celebrities who usually engage themselves in some form of charitable activities, giving back to the society, may find this a protective factor against feeling lonely can fill the vacuum of their unstructured time. Dr. Tahir is an American Qualified general (Adult) and Child and Adolescent Psychiatrist, was working as Assistant Professor of Psychiatry at New York Presbyterian Hospital, The University Hospital of Columbia and Cornell New York U.S.A. Dr. Tahir had his Adult Psychiatry residency training at Columbia University New York affiliated Creedmoor psychiatric center and his Child & Adolescent Psychiatry fellowship at Weill Cornell University Hospital New York. Before coming to Dubai Dr.Tahir was working as Assistant Unit Chief and Leading Multidisciplinary Treatment Team at New York Presbyterian Hospital Westchester Division.